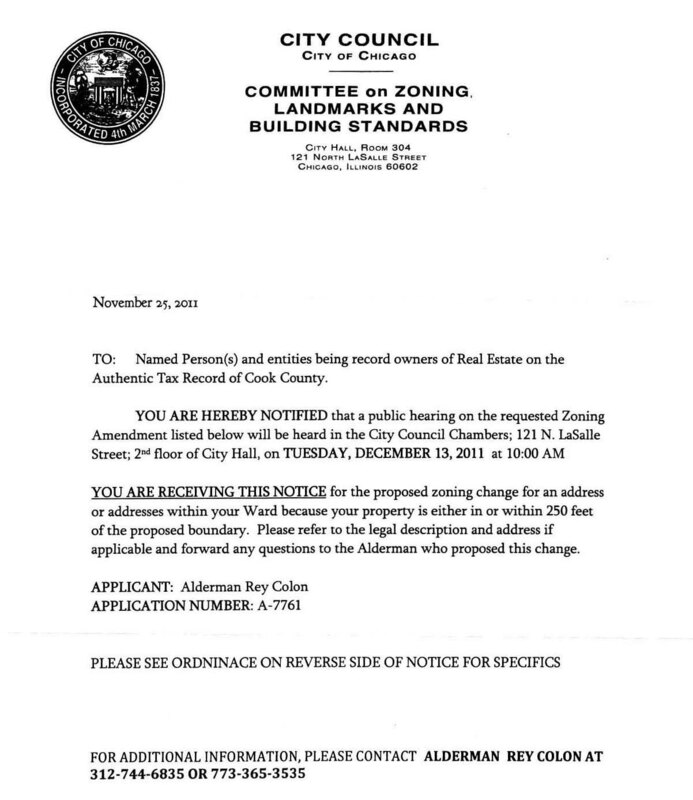 The official meeting agenda of the December 13 meeting of the Zoning Committee has not yet been posted, but the specifics of the proposed zoning change to remove the “pedestrian street” designation of a part of Milwaukee Avenue are posted on page 9 of the matters referred to the Committee on Zoning on November 2, 2011. Milwaukee Avenue’s “pedestrian street” designation runs from Kedzie Avenue north to Central Park Avenue, but the area in question is Milwaukee Avenue between Kedzie Avenue on the south and Sawyer Avenue on the north as shown on the zoning map below. …to preserve and enhance the character of streets…that are widely recognized as Chicago’s best examples of pedestrian-oriented shopping districts. The regulations are intended to promote transit, economic vitality and pedestrian safety and comfort. Do you prefer the look and feel of a Milwaukee Avenue like this (below) with the “pedestrian street” designation? this (below) that would be permitted without the “pedestrian street” designation? The two last photos are of current conditions on the stretch of Milwaukee Avenue in question, but they are not a direction to aspire to. They are legally non-conforming to the “pedestrian street” requirements because their conditions existed before the Zoning Ordinance was changed in 2004 to include “pedestrian streets” as part of the city’s nearly four-year long, thoughtful and fairly comprehensive overhaul of the Zoning Ordinance for the first time since 1957. I’ve written before about different components of the “pedestrian street” designation in the context of other issues, twice in 2008, in 2009 and again in 2010. The designation prevents blank windowless walls, buildings set back more than five feet from the sidewalk, curb cuts, driveways and drive-throughs, parking in front of buildings, strip centers, and banks crowding together. The designation encourages pedestrian-scaled entrances on the street, outdoor display of produce and plants, transparent windows for pedestrians to look into, outdoor eating areas, and limited and hidden parking. 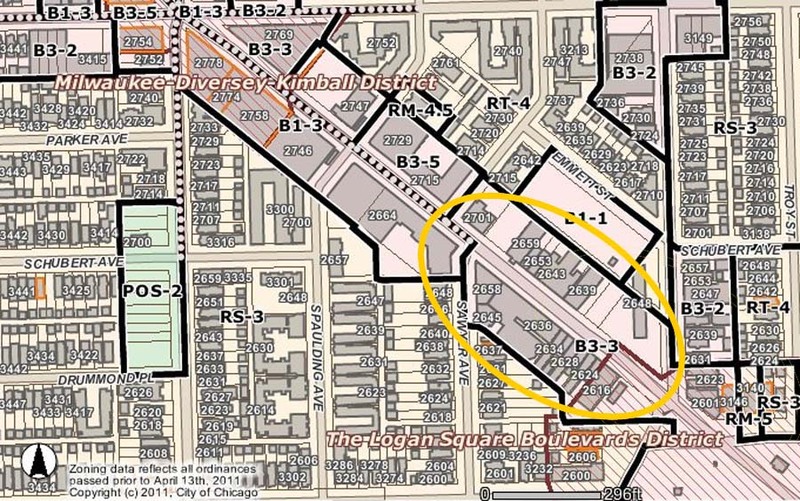 Removing the designation would not only encourage car-centric development, but require some future development to provide parking that is not currently provided (or needed due to the proximity of the Emmett Street parking lot). I don’t know why the alderman has proposed to make Milwaukee Avenue more car-centric. I don’t know why he chose not to meet with the community about this proposed change. I do know that your views can be heard though at the Public Hearing December 13 before the Zoning Committee, a committee on which he sits. This entry was posted on Monday, December 5th, 2011 at 10:38 pm and is filed under Logan Square, Milwaukee Ave..	You can follow any responses to this entry through the RSS 2.0 feed. You can leave a response, or trackback from your own site. Thank you, Lynn, for the photo examples, and the succinct description of what a pedestrian street designation entails. Lynn – I do not like this plan at all. I am outraged at Alderman Colon once again – Do you think this has something to do with getting parking for Cheetah Gym going in at Graces furniture? Surely this has to do with some business that he has lined up for empty storefronts in that area. Well my main concern – does this mean that a stretch of buildings could be leveled to make a parking lot if this zoning change passes? Under the current zoning, is that possible? Are you able to go to the hearing tomorrow? Love 10AM hearings…so convenient for everyone. Chicago zoning committee hearings are at ridiculously inconvenient times. The chairman of the committee is Ald. Danny Sollis. You can email him regarding committee issues at zoning@dannysolis.org. I feel like we need to get as many people as possible to shoot a quick message to him. Possibly get Active Transportation Alliance involved as their network is extensive and willing to put in the effort as proved in the recent Tribune opinion response. Ugg. I have brought this up to LS Preservation. I will see what we can do. my email to Alderman Solis – I suggest you guys send simliar. 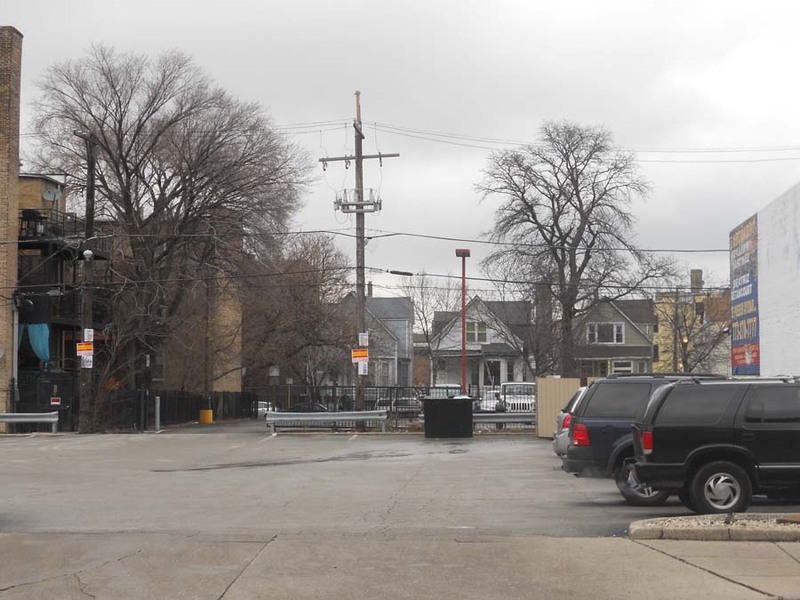 I am writing to tell you of my disapproval of the zoning change submitted by my Alderman, Rey Colon for the stretch of Milwaukee Avenue between Kedzie and Sawyer. This area of Milwaukee is experiencing a resurgence in the last year and I feel this would affect the neighborhood negatively. The Logan Theatre is remodeling and expanding, a vintage furniture store (Reform Objects), a book store (Uncharted Books), a cafe (Nothin Less), an Italian deli – possibly a gym. All of these are traditional storefronts with curbside parking. I do understand that with Logan Squares growth, parking will become harder to come by. However, there is a city lot directly behind the Chase bank (Emmett Street Lot). Alderman Colon has submitted this change without input from the community. A change like this is something that the community should be alerted, and meetings should be held for discussion. If Alderman Colon wants to do this, then fine – but get the publics approval first. This zoning change would mean that the buildings there could be torn down and a strip mall with parking could be built – or leveled for just a parking lot – we’ve seen this done to the stretch just north of Sawyer to Diversey (Piere’s Bakery and McDonalds) and it does nothing but harm the aesthetic of the neighborhood, and certainly has not helped bring more business. Most of the buildings that would be endangered date back to the 1920’s – while not landmarked, have significant historic value. In the future, I’d prefer Logan Square to look something more like Lincoln Square, and the Milwaukee avenue of the northern suburbs near Lincolnwood and Niles. I am not able to attend the hearing due to work – but if I could I would be there voicing my opinion that this is a horrible idea. My vote is no, do not let Alderman Colon begin to deconstruct the charming, resurging stretch of Milwaukee that I love to frequent daily. I appreciate your time, and I hope you will take our neighborhoods historical value into consideration. Love this blog (found it through Gaper’s Block). I’m a regular visitor to the LS ‘hood, and Milwaukee Avenue should remain a pedestrian-oriented street. But I’m also an English Professor, and just have to point out: there is no “e” in “gluing.” Might want to correct that in your logo! Removing the ordinance is a terrible idea! Found out this is only temporary zoning change. >I appreciate your inquiry regarding the lifting of the Pedestrian Street designation for Milwaukee Avenue. Several months ago, I posted plans on the 35th Ward Newsletter announcing a new McDonald’s to replace the existing one on Milwaukee and Sawyer. The McDonald’s owners will make this investment only if they can retain their current parking configuration. In order to secure construction permits to maintain parking access and their drive-thru, the P-Street designation must temporarily be lifted. 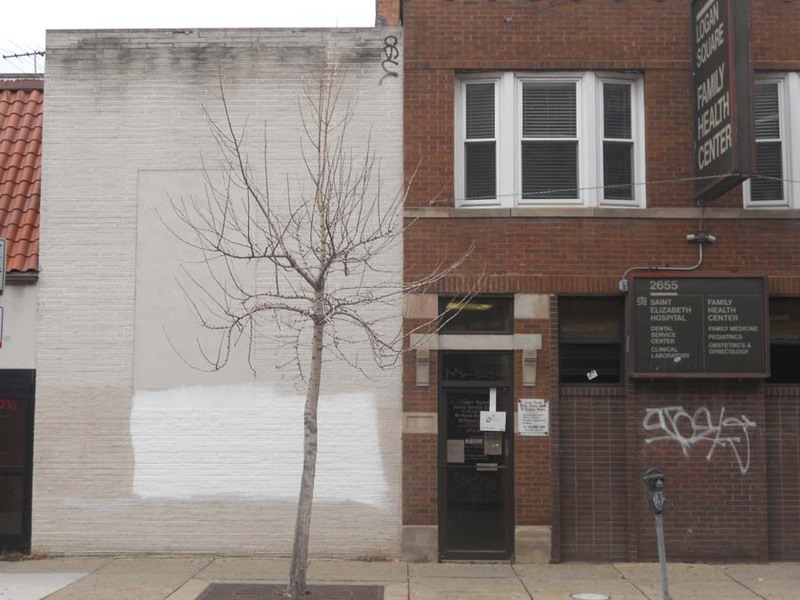 Once they have secured their permits, the P-Street designation will be restored. There is no way around this. No new driveway permits will be approved while this designation is lifted. Our choices are to keep the current restaurant as is or secure the permits for a new one. The McDonald’s parking lot has also been commonly used as the Milwaukee Avenue entrance into the Emmett St. parking lot. If there was a way to get a walk-up McDonald’s or another way to assist them in getting permits without lifting this designation I would have done so. Unfortunately, this is the only available option and once again, it is temporary. The only change on Milwaukee Ave. will be the construction of a new, more modern McDonald’s. It can only be a “temporary zoning change” if the alderman then introduces new legislation to reinstate the designation. Besides twisting the law, there are no guarantees he will do so. 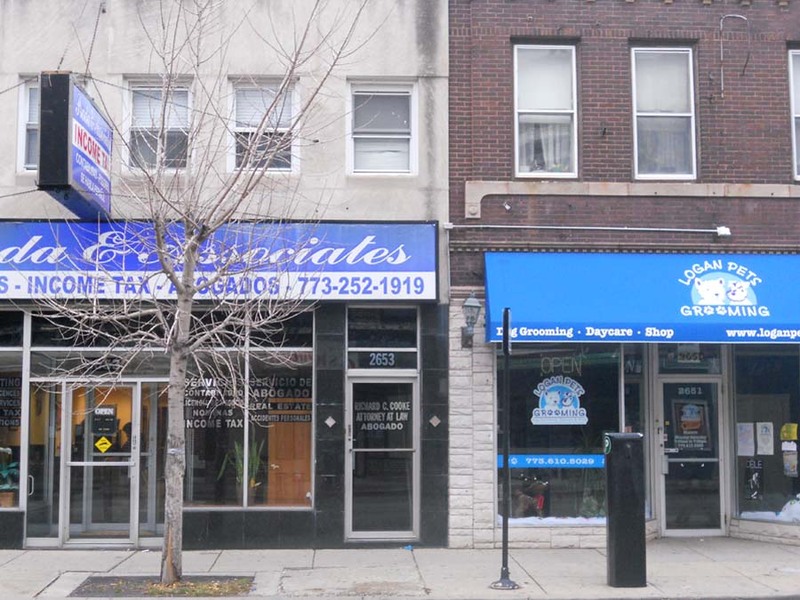 In the meantime, if other property owners wanted, they could make changes that are possible without the designation and that are detrimental to the character of Milwaukee Avenue that the pedestrian street designation is meant to preserve.